Let there be no question where Texans stand on the Obama Administration’s latest attempt to redefine the Clean Water Act: They’re mad as hell. “The EPA’s latest regulatory overreach represents a new level of absurdity by attempting to define ditches and ponds as part of the ‘navigable waters’ under the Clean Water Act,” Gov. 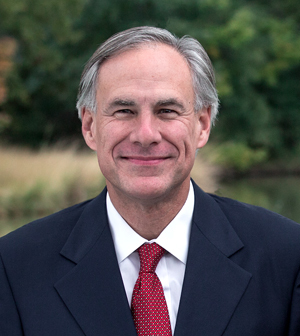 Greg Abbott said in a press release. The Governor says the new rule serves the sole purpose of enabling the federal government to regulate businesses and property owners on an increasingly granular level. “The EPA’s action is contrary to multiple rulings by the U.S. Supreme Court limiting its jurisdiction, and represents yet another power grab by the Obama Administration seeking to impose heavy-handed regulations on every facet of the lives of Americans,” Abbot said. What’s got the Gov so worked up? The Obama Administration’s new rules are supposed to protect drinking water for 117 million Americans by shielding small streams, tributaries and wetlands from pollution and development. The White House said the rules would provide much-needed clarity for landowners. The rules, issued by the Environmental Protection Agency and the U.S. Army Corps of Engineers, are designed to clarify which smaller waterways fall under federal protection after two Supreme Court rulings had left the reach of the Clean Water Act uncertain. 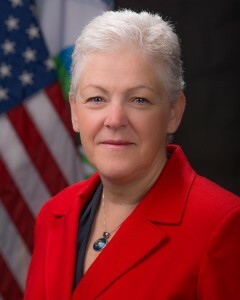 EPA administrator Gina McCarthy said the waters affected would be those with a “direct and significant” connection to larger bodies of water downstream that are already protected. The Supreme Court decisions in 2001 and 2006 left 60 per cent of nation’s streams and millions of acres of wetlands without clear federal protection, according to EPA. The new rules say a tributary must show evidence of flowing water to be protected _ like a bank or a high water mark. The regulations would kick in and force a permitting process only if a business or landowner took steps to pollute or destroy those waters. As Gov. Abbott nicely illustrates, Texans object to the new EPA rules. 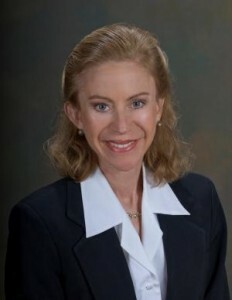 Kathleen Hartnett White, Texas Public Policy Foundation. Kathleen Hartnett White of the Texas Public Policy Foundation says the EPA’s final “redefinition” of the new rules of the is not about water or clean water at all, it is about land—federal regulatory control of privately owned land. EPA’s McCarthy has acknowledged the proposed rules issued last year were confusing and said the final rules were written to be clearer. Lamar Smith (R-Texas) has written the EPA questioning the agency’s rushed process and “lack of transparency.” And he says the EPA solicited the support of environmental groups to help sell the Clean Water Act to Americans. “The rule expands the EPA’s jurisdiction, giving the agency the power to restrict Americans from making decisions about their own property. 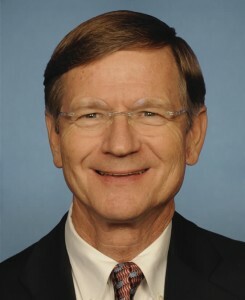 In addition, the agency inappropriately lobbied external organizations to provide supportive comments,” Smith said in a statement. But Harnett White says farming, ranching, oil and gas production, forestry, mining, building and manufacturing now could be subject to a federal permit averaging $270,000. “The new definition of federal waters usurps long standing state authority over water and land use and tramples on private property rights. Over thirty Governors already have opposed this EPA land grab,” she said.